What Are the Prices of Security Gates? Sliding Gates – These are available to match your fence materials and in any required length. We can supply compatible gate operators to match. Swinging Gates – Single and double swinging security gates of any length are an economical access control solution, operated either manually or with electric operator equipment. Pedestrian Walk Gates – For pedestrian traffic, walk gates and turnstiles are effective and convenient. Let us assist you with specifications. 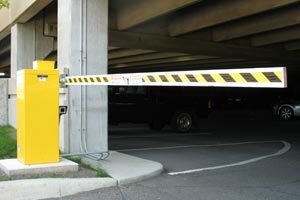 Vehicle Barrier Gates – For a wide range of vehicle entry and exit control, barrier gates, using a variety of controls, are an economical solution. Let us supply all your needs at outstanding low cost. Scissor Gates – Commonly used at warehouses, storage facilities and for other purposes, affordable and durable scissor gates are available to match your configuration. Vertical Pivot Gates – Where space near your entrance is limited, we can supply a wide range of discount-priced vertical pivot gates in both single and double configurations to solve your security access needs. Vertical Lift Gates – If space alongside your access entry is severely limited, a vertical lift gate, supplied by our fence products company, is a money-saving solution chosen by many of our customers. Gate Length and Grade – Whatever type of security gate you require, its length and construction play a role in its cost. Gates for chain link security fencing are highly affordable solutions. Other types vary in price, but you can rely on our money saving purchasing and shipping methods for big savings. Automatic Operation Method – For some security access situations, manual operation of swinging and sliding gates helps to keep costs low. 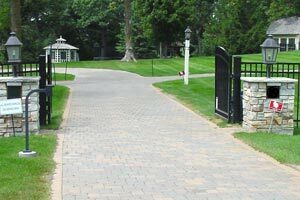 If you need a powered automatic gate opener and closer, our volume purchasing power and direct shipping will keep budget under control for any installation. Outstanding security and access control is an important factor for every residential and commercial facility. Keeping the cost as low as possible is equally important. Our nationally recognized fencing products company understands the need for cost control and helps our customers realize great savings on all fencing products. Through passing along our high-volume purchasing discounts and direct shipping from manufacturers, we help you save on every order. Don’t pay more than you should for top-quality products. Contact us today with your needs and let us supply you with exactly the products you need at our lowest possible price.